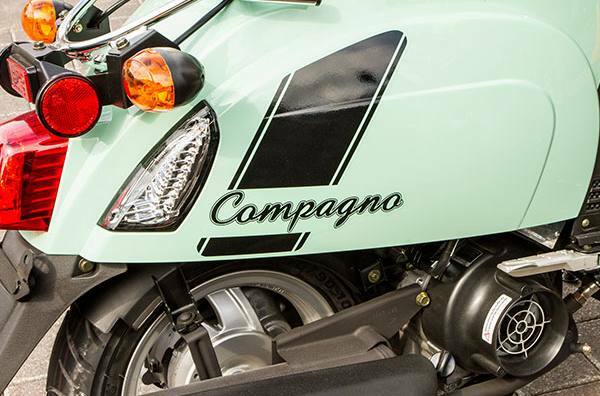 The KYMCO Compagno's Euro-Retro Styling and modern technology are the key elements that make up the Compagno 110i popularity. 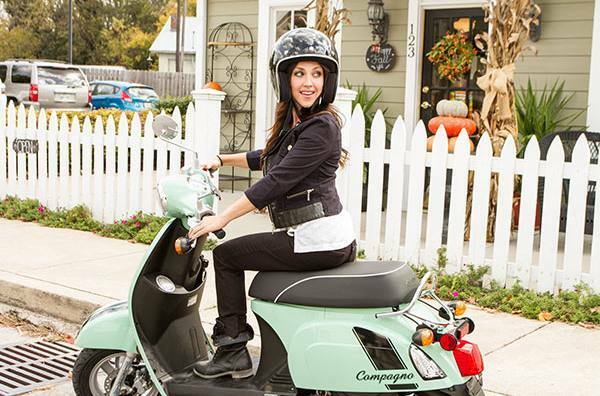 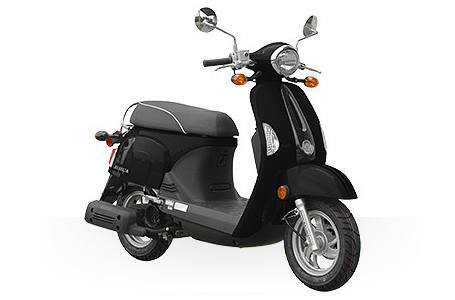 Comfortable space between the handle bars and seat, low 29” saddle height for confident flat footed stops equal greater comfort for rider and passenger. 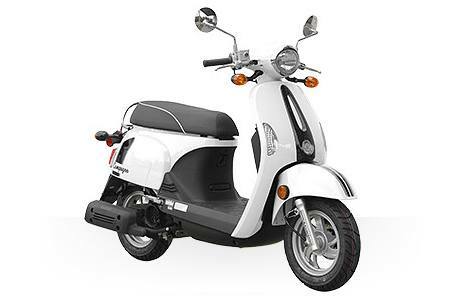 The powerful 112cc, 4 - stroke electronic fuel injected engine adds improved MPG and reduced emissions. 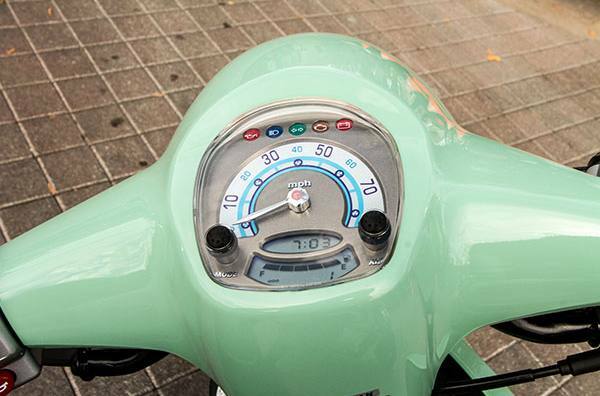 On board there's plenty of underseat storage, a convenient glove box and helmet hook plus easy to read instruments including speedometer, odometer, fuel gauge and clock. 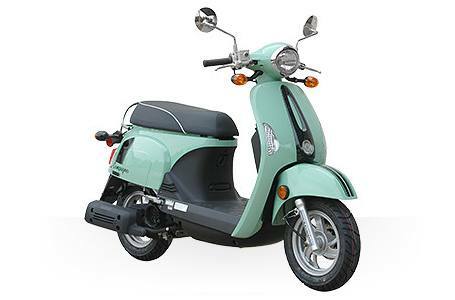 Available in Matte White, Matte Black and Classic Retro Light Green.